The three Easter sisters, like many young people with a family history of military service, each decided to answer their nation’s call. Saturday, sibling rivalry and service rivalry will intersect when the youngest sister, Madeleine, joins fellow Army cadets in the stands opposite middle sister Adrienne and her fellow midshipmen. Older sister Corinne, who graduated from the Air Force Academy in 2015 and now pilots MQ-9 Reapers, can only watch as her siblings’ schools fight for the Commander-in-Chief’s Trophy. The Easters have a family tree full of veterans, but unlike some military families, the girls’ parents rarely promoted their relatives’ legacies, and certainly never pushed their daughters in that direction. 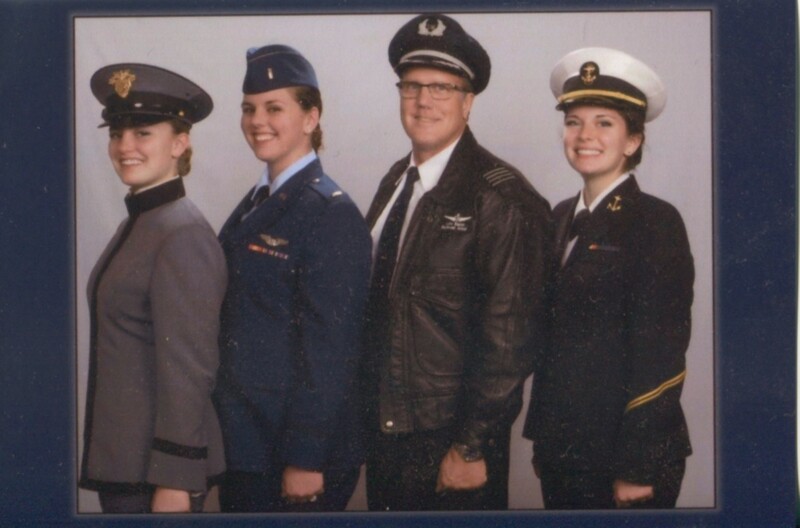 Luke Easter flew F-4 Phantoms and F-15 Strike Eagles in the Air Force over the course of two tours in the Middle East, but he never imagined any of his daughters would follow in his footsteps. After all, he had left the military and began flying for Southwest Airlines well before his first daughter was born. And maybe there’s something to that: the Easter family has a military tradition going back more than 100 years. The three sisters are the fourth generation of an unbroken line of military service on both parents’ sides. Paternal great-grandfather Grover Easter was an Army infantryman in World War I. His son, Clovis Easter, was a Navy submariner in World War II and later an Air Force pilot who flew AC-130 Gunships in Vietnam. 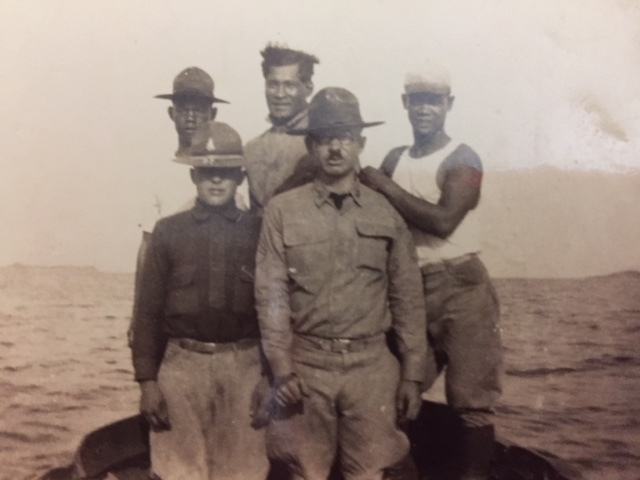 Maternal great-grandfather William Pelfrey served with the Army in the Philippines and China in the 1930s, the family said, though few details are known about his time in uniform. Pelfrey’s son, William (Bill) Pelfrey II, would go on to fight three tours in Vietnam, where he received the Silver Star and a Purple Heart with First Oak Leaf Cluster, according to a copy of his DD-214 provided to Military Times. A Green Beret with 7th Special Forces Group, he earned the Silver Star after he helped discover a secret network of tunnels the Viet Cong were using throughout the conflict, the family said. Bill’s son, the sisters’ maternal uncle, would also join the Army. Many families boast generations of service members. 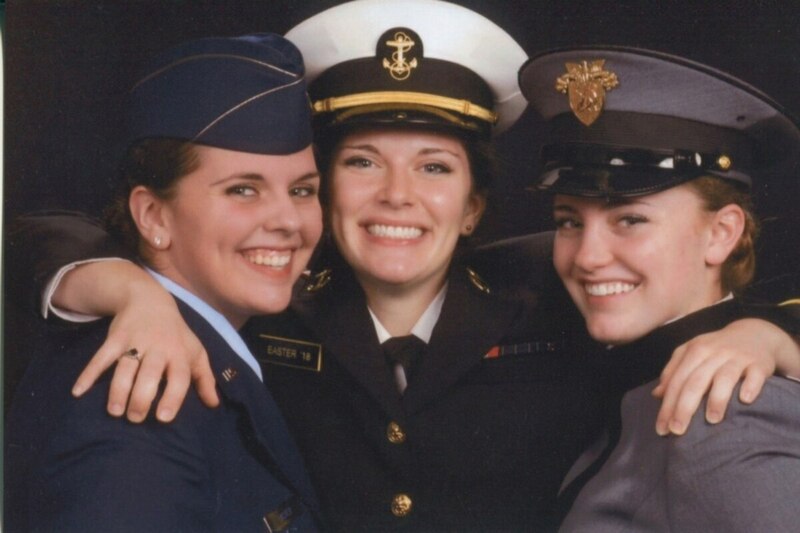 However, few have a trio of sisters who each gained admission to a different service academy, which maintain acceptance rates ranging from 10 percent to 18 percent a year. The sisters were always aware of what it took to earn a spot at these prestigious pipelines to military leadership, and they prepared accordingly. All three sisters received Gold Awards through the Girl Scouts, played a slew of high school sports, were members of the National Honor Society, and were in early contact with admissions officers to ensure they were on track in the science and math disciplines that the academies preference. During the admissions process “we took the SATs multiple times just to make sure we had the best scores possible. ... I think I took it five times,” Corinne said. Another way the sisters tested the waters of military service was by attending summer seminars at the academies. After attending both the Air Force Academy and Naval Academy summer seminars, Adrienne knew she wanted to “Go Navy,” and eventually be a naval aviator. Last week, that goal became a reality after she found out she had been offered an aviator slot after graduation. “I want to fly jets one day, like my father and grandfather,” she added. Madeleine decided to attend West Point. She’s currently a sophomore studying Spanish and human geography. Although the sisters each attended different academies, the summer before freshman year serves as a unique experience that bonds the three together. It’s given different names at each school, but the underlying premise is the same: break the incoming civilians down over the summer so they can be built back up as military officers over the next four years. One of the few personal items allotted to incoming freshman is a journal. That first summer isn’t the only experience shared between the service academies. “We take pride in who owns the Commander in Chief each year,” Corinne said, referring to the Commander in Chief’s Trophy, awarded annually to the overall winner of the round-robin football series between the schools. Last year, the Air Force Academy held the coveted prize, but they’ve already lost to both Navy and Army this year; the winner of Saturday’s Army-Navy game gets the hardware. “And the reason why this is particularly important this year, is because last year, when my little sister was a freshman, Army beat Navy for the first time in 15 years,” Adrienne said. But all that changed last year, and Adrienne doesn’t want to lose to her little sister’s West Point cadre again. She hopes her Midshipmen can rally to victory one last time before she graduates.